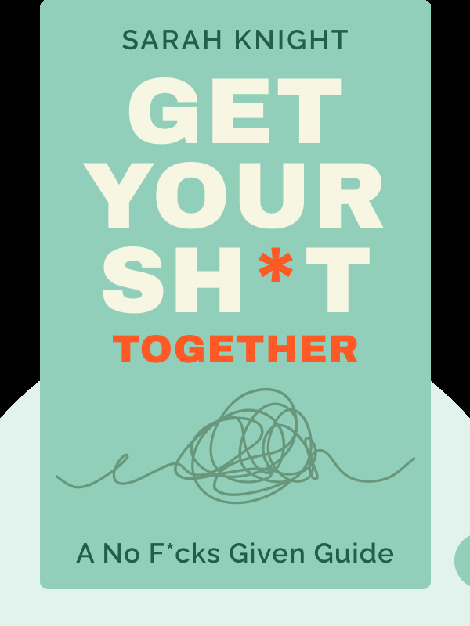 Get Your Sh*t Together (2016) is a frank and practical guide to sorting your life out. From dealing with anxiety to exercise regimens, from your relationship to your career, these blinks will help you achieve your goals and get more out of your life. 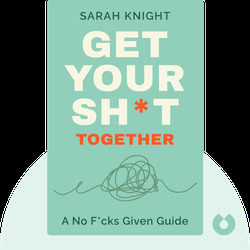 Sarah Knight is an editor and writer who previously spent 15 years working in the publishing industry in New York, editing bestselling authors such as Chris Cleave and Gillian Flynn. Knight’s TEDx Talk, “The Magic of Not Giving A F***” has been viewed over two million times.